This document covers how to install SPSS on Windows or Macintosh computers. System Requirements: Windows: Windows 7 or newer Mac: MacOS 10.10 or newer At this time, SPSS is not supported on the Chrome OS/Chromebook. For the Windows install see the first section, or if a Macintosh install is needed scroll down to the second section of this document. 2.) On the page click the download for Windows link and save the file to your computer, also make note of the authorization code located on the page. This code will be used later to activate your copy of SPSS please write it down or leave the webpage open for later use (Note: In the example image the code is blurred for security, however it will be intact on the download page). 3.) Navigate to the downloads folder of your PC. There you will find the .zip file of the SPSS install. This needs to be decompressed to preform the install. To do so right click on the .zip file and use the "Extract All..." command. When the extract window comes up use defaults and click the "Extract" button. 4.) With the files now extracted open the folder (if it did not auto open after extraction), open the 64 bit folder, then right click on IBM_SPSS_Statistics_25.msi and click on Install ""
5.) Click on Next. Then click on I accept the terms of the install, and click "Next". 7.) Click "I accept the terms in the license agreement", then click "Next"
8.) Use the default install location, and click "Next". Then click "Install", and wait for it to complete. 9.) After the install make sure the "Start IBM SPSS Statistics 25 License Authorization Wizard" box is checked and select "Finish"
10.) Select "Next", then when it asks for which way to authorize the product, select "Authorized user license" then click "Next"
11.) 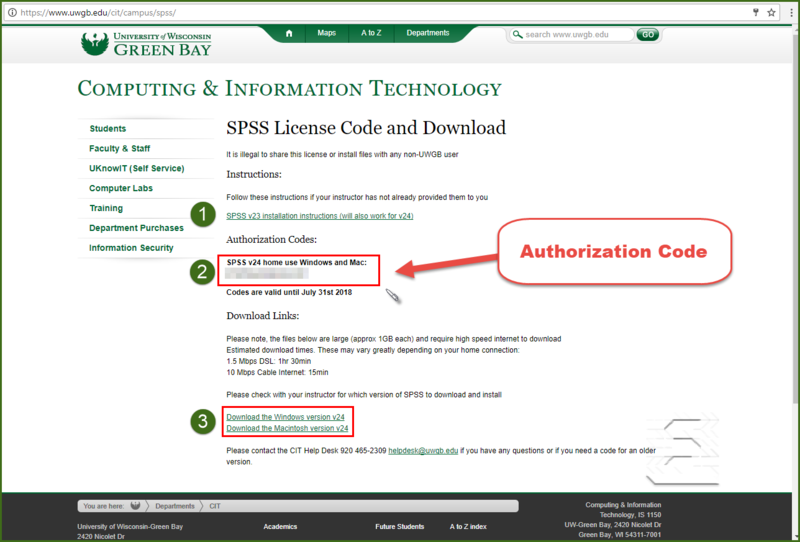 Enter the authorization code from the link supplied in Step 1.
then on "Finish" Go into your programs through your start button and search for the IBM SPSS Statistics 25. Double click on this icon and the application will open.